Learn to piece this quilt top. 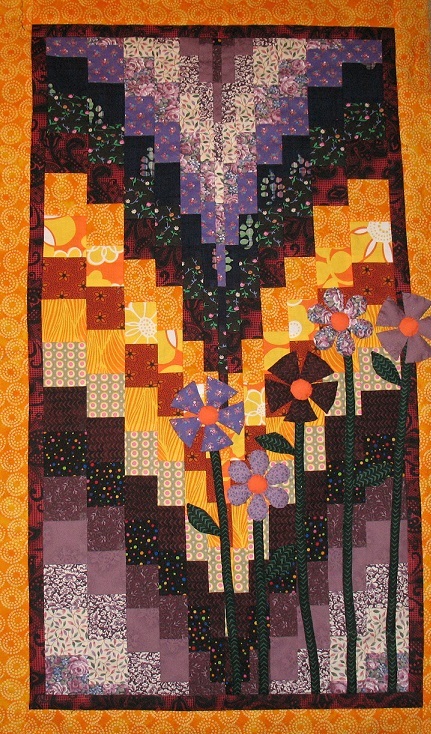 The applique flowers are not included in this class. Learn applique in a separate work shop. This is a 2nd level beginner quilt top. It’s not difficult but requires attention to detail and organizational skills. This is a 2 hour class in which I will teach you the techniques to make this quilt top. It’s fun, easy and fast. Requirements: A sewing machine, iron and ironing board at home, don’t bring them to class. You must have a basic knowledge of how to use a sewing machine, and be able to sew long straight lines. You will also need a roller cutter, cutting board and straight edge.